Click on a plot in the map on the left hand side to load and visualize its data. The plots, shown with grey marker symbols on the map, have approximated geographic locations (i.e. lat/long rounded to the nearest 0.1 degrees) in order to avoid any possible IP issues. The plots primarily represent RAINFOR and AfriTRON continental networks as published in Brienen et al. 2015, Lewis et al. 2013, Avitabile et al. 2016. Only logged in users are allowed to download. 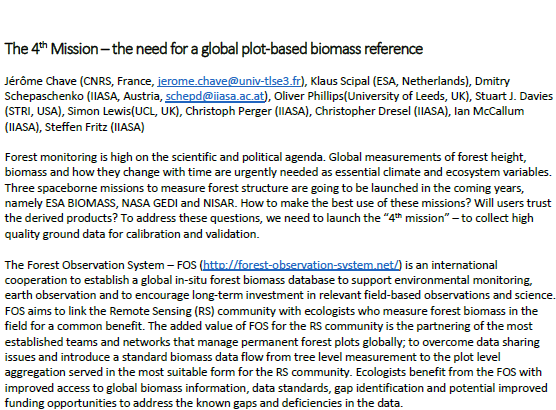 The Forest Observation System is an international cooperation to establish a global in-situ forest biomass database to support earth observation and to encourage investment in relevant field-based observations and science. 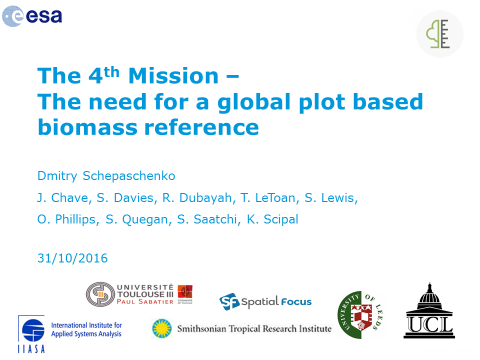 The Forest Observation System provides well curated biomass plot data in a unified format, that is aggregated from tree level data consistently across different networks. All users of FOS data discuss with other collaborators, such as data providers, botanists and researchers, the research question that they wish to address, and involve them in the analysis, writing, and co-authorship of results. All users of FOS obtain the explicit consent of the relevant principal investigator(s) and plot data manager before submitting any work for publication.The transfer of any data between FOS partners does not imply the automatic transfer of rights to publish the data. 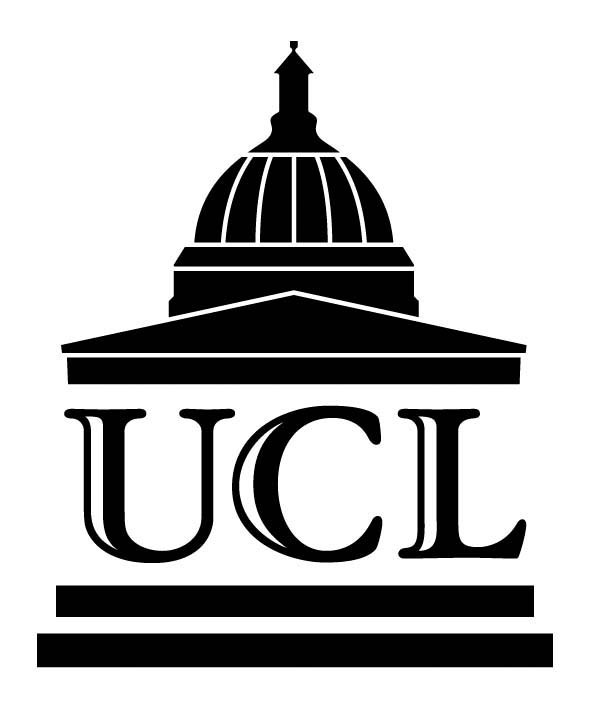 The lead author of any publication using FOS data ensures that all co-author contributions are clearly defined: who was responsible for conceiving the idea, designing the study, collecting the field data, performing the analysis, contributing materials or analysis tools, analysing the data, and writing the paper. FOS is fully cited in all publications that use any data or information obtained through FOS. We encourage the user community to reinvest in developing the network, by uploading their own data, and/or funding recensuses and expansion of the contributing plot networks into under-sampled regions, and/or contributing to the costs of database management and functionality. We encourage contributors to agree that their data can be downloaded and used. We will only make data publicly available with the data owner’s permission. We request that potential commercial users or large research consortia contribute financially towards the costs of maintaining the database resource and of reinvesting in forest measurement and technical training.